Yesterday evening I was ”meant” to go for a run. And the evening before that. And the evening before that actually. I’m not really a ‘go for a run’ type of person although I would love to be. I did however manage to go for a walk to the allotment (I still count going to allotment as exercise…pulling weeds out is not easy!). Whilst I was at the allotment I took a wonder through my runner bean pergola, which is really starting to look good now that the bean plants are covered in flowers (*makes note to self*, take photo of pergola). 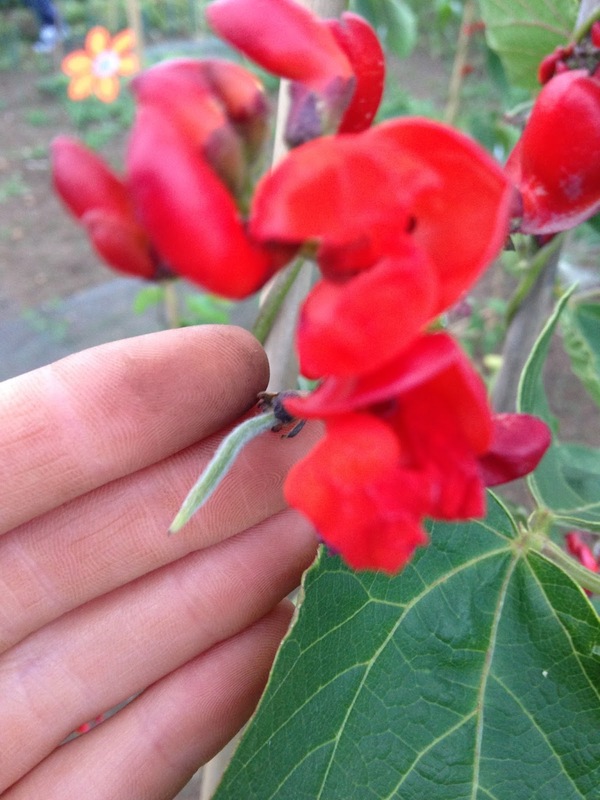 There are quite a few beans starting to appear, although at the moment they are rather tiny. I think they look super cute when they are this small though? I’ll be making runner bean chutney in no time!